With only seven sleeps until the 137th Australian Sheep and Wool Show, I did a pattern search on ‘Wool’. Here is this week’s selection for Free Pattern Friday. 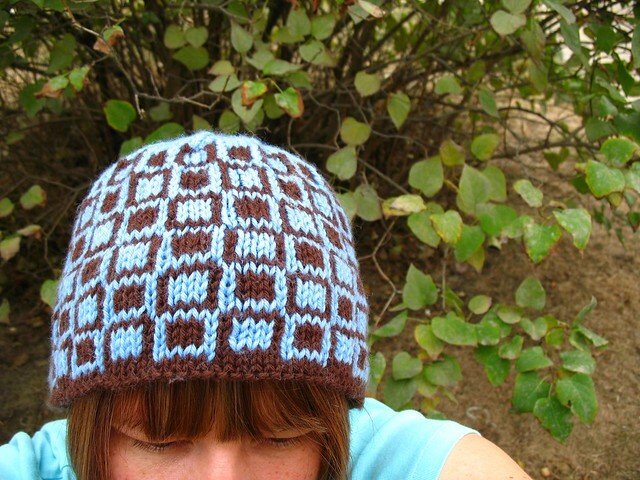 The Sheep and Wool Hat by Emily Spence has a simple geometric pattern that is achieved by stranded knitting. Worked in 10ply/worsted weight yarn, this quick knit could be worked up in time for Bendigo next week. Or even knitted AT Bendigo, from your newly purchased yarn (you’ll need about 160+ metres of two contrasting colours). Just make sure to pack your 5mm circular or double pointed needles! The Wool Eater Blanket by Sarah London is a great way to use up your stash. This crochet pattern is more a photo tutorial, but very easy to follow, and whilst it calls for 8ply/DK yarn and a 4.00mm hook you can easily adjust to suit whatever ply yarn you prefer. 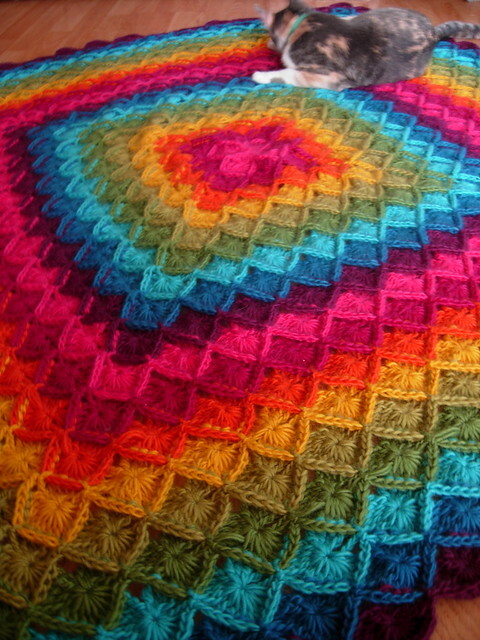 This blanket is not made up of motifs that have to be joined, but rather is worked in the round. The raised edges of the ‘motifs’ are created by working the stitches from the back around the post of the stitch instead of through the top of the stitch. This pattern uses Australian/UK crochet terms. I hope to see you at the Show with all of your latest creations!